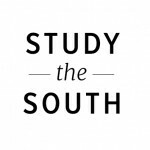 The Center for the Study of Southern Culture announces a $1,000 research grant to advance scholarship on The Radical South: Southern Activism, Past and Present. The Center will also provide travel expenses for the selected scholar-in-residence to visit the University of Mississippi campus and present her or his work in a lecture during a month-long series of events in April 2017. The scholar-in-residence’s work will be subsequently published in the Center for the Study of Southern Culture’s online journal, Study the South.